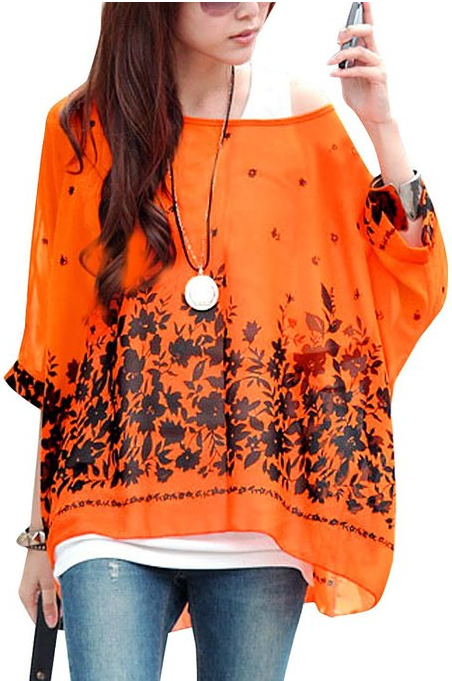 Batwing Sleeve Flower Print Semi Sheer Blouse Only $6.31 PLUS FREE Shipping! You are here: Home / Great Deals / Amazon Deals / Batwing Sleeve Flower Print Semi Sheer Blouse Only $6.31 PLUS FREE Shipping! Summer is all about easy wearing clothes that are casual and cool and this Batwing Sleeve Flower Print Semi Sheer Blouse is Only $6.31 PLUS FREE Shipping! It looks good dressed up or down! Get yours NOW!